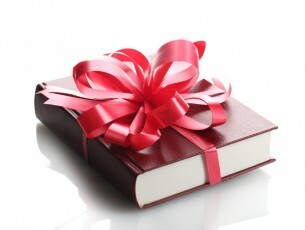 Books make perfect gifts for content marketers, whether they’re family, friends, coworkers, or your staff. Similar to last year’s holiday gift book guide, here are some of the best content marketing books published in 2013 — any of these would be a great resource for advancing your skills and achieving greater success in your content marketing efforts. All in all, 2013 has been an exceptional year for well-produced books filled with fresh insights from both established authors and newcomers. The following titles (arranged alphabetically by primary author’s last name) can make significant contributions to all content marketing professionals, whether they work in corporate, agency, or self-employed settings. Youtility is one of the two books I’ve been enthusiastically recommending to clients, friends, and strangers I run into on airplanes — it’s that good. 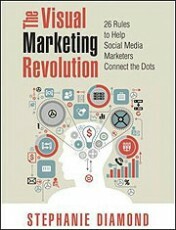 I purchased it at Content Marketing World 2013 after Jay’s inspiring keynote presentation. 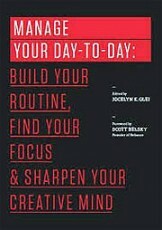 Youtility is an “attitude” book that inspires by the strength of its examples and the logic of its arguments. It’s the perfect book for content marketing skeptics who say, “This wouldn’t work for my type of business,” because the examples come from businesses of all sizes, across all types of fields. 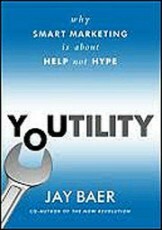 From Jay’s opening perspective that, “Your friends and family are now competing with you,” to the six blueprints he provides, Youtility delivers, both as a book and as an overall content marketing philosophy. 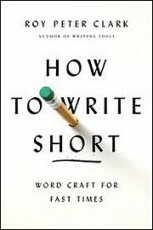 This is the latest in a series of four highly relevant and highly readable books that Roy Peter Clark has written about writing. All display his pragmatic approach to both fiction and nonfiction writing, perhaps influenced by his journalistic and teaching background. If you attended Content Marketing World 2013, you were likely fascinated by the way Kelly Kingman used graphic recording to create eye-catching visual content — in real time — during the keynote presentations. 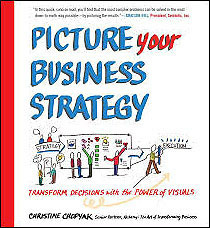 Picture Your Business Strategy shows how the technique of graphic recording can also be used to facilitate meetings and encourage attendee participation at content marketers’ staff meetings and brainstorming sessions. Stephanie Diamond was the Marketing Director at AOL during its period of greatest growth. Her latest book — The Visual Marketing Revolution — is an illustrated how-to guide to putting the best visual marketing tools to work. In this definitive guide to visual marketing, Stephanie describes the primary characteristics of and best uses for myriad visual content formats, and shares resources and tips for creating great graphics. Keep this book on hand in your department’s library (or your home office) and use it to help you select the best images for your articles, blog posts, white papers, or any other content you are creating. The book’s small format, low price, and 8- to 10-page essays make this an especially suitable gift for content marketers who like to read during their daily commutes. 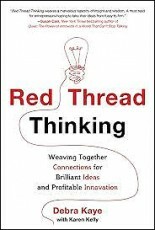 Debra Kaye’s Red Thread Thinking provides an inspiring alternative to creativity books that focus on “Aha!” moments of breakthrough innovation. The book shares “red threads,” those more predictable and realistic sources of innovation that can be found in everyday business situations — not just in isolated geniuses or deep-pocketed research departments. Illustrated with case studies and interviews, this is one innovation book that won’t put you to sleep on your next flight. Personal productivity and time management play key roles in content marketing success; The ONE Thing is 2013’s best book about “getting it together” and making a major leap forward in accomplishing your personal, departmental, or business goals. Reflecting the experiences of Gary Keller, the founder of Keller-Williams Realty — the largest real estate franchise in the U.S. — the book serves as an excellent example of the marriage of content, illustrations, and design. The premise is simple, and the implementation is easy, but it really works. Explanations form the heart of content marketing success. 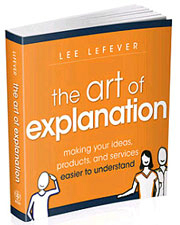 So it’s particularly helpful that Lee LeFever starts his book by detailing the planning and writing steps necessary to create an effective explanation. He then describes how to make explanations as visual as possible using animated, simple drawings. In a world filled with books stressing persuasive copywriting techniques, it’s a rare pleasure to see a book dedicated to explanatory writing. 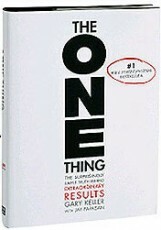 This is the second book I’ve been recommending to clients, friends, and strangers whom I’ve met on planes. 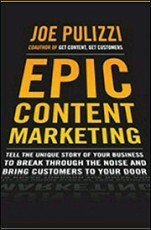 Epic Content Marketing lives up to its title by providing the type of detail-oriented implementation advice needed to produce the type of inspiring content Joe describes. With over 300,000 copies in print in more than 25 languages, David Meerman Scott’s New Rules of Marketing and PR has become the bible of online marketing, and can be considered the best all-around introduction to today’s changed marketing world. The latest edition is the best one yet. David revisited every chapter, updating stories and adding resources, in addition to adding new chapters on topics like social media, online video, and mobile applications. The Art of Doing profiles 30 “superachievers” — people who have achieved significant success in building their brands in a variety of fields. Sweeney and Gosfield’s list includes both high-profile media professionals as well as an eclectic mix of individuals who are well known in their fields. 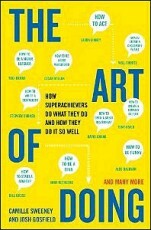 Based on interviews, each chapter tells the story of a single individual, describing their success and providing 10 lessons that others can learn from their experiences. The Art of Doing is fascinating reading, both for its narratives and the conclusions the authors have drawn from their interviews. Over the past few years, Susan Weinschenk has published several engaging books about marketing and communications that are written from her perspective as a psychologist. Her books are filled with stories that summarize the latest research on how the brain perceives and processes information. 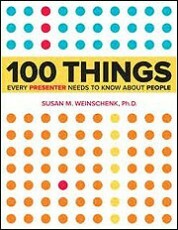 Her latest book offers 100 ideas for increasing the effectiveness of your presentations, as well as stories, tips, and takeaways. Its lessons are as valuable for content marketers who are preparing eLearning courses or embedding SlideShare presentations as they are for using PowerPoint at staff meetings. Looking beyond the holidays, the above list also presents numerous opportunities for ongoing personal development and staff improvement in 2014. For example, you may have noticed I included 12 newly published books. Just think of potential benefits of reading one book a month during 2014! Even better, consider using the 12 books as the basis of a content marketing departmental library, encouraging your staff members to read one book a month and sharing their comments and takeaways at monthly “fresh ideas” meetings. What a catalyst for group interaction and ongoing learning! Although I tried to choose books from a variety of disciplines, no list is ever perfect. If I’ve overlooked one of your favorite creativity, design, marketing, or visual-thinking books published during 2013, please share its title, below, as well as why you feel it should be included. Or, you could even suggest substituting a different book for one of my selections in the above list. Happy reading!